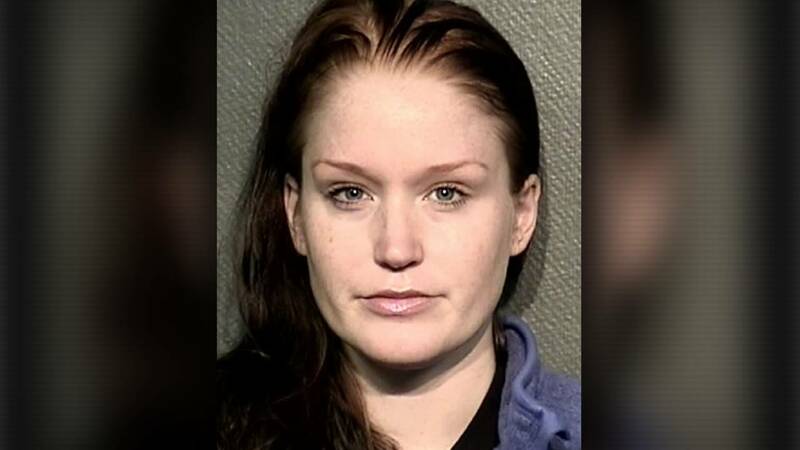 HOUSTON - A Spring Branch Independent School District teacher was placed on leave last week after officials learned she had been arrested on a charge of having an improper relationship with a female student. In a written statement, district officials said Whitney Laidlaw, a teacher at Cornerstone Academy, was removed from the campus last week after they were informed by Houston police about her arrest. Officials said the relationship happened during summer break and none of the alleged violations happened on school property. According to an arrest warrant, Laidlaw sent explicit text messages to the 14-year-old student, which eventually led to a physical relationship. After the student's seventh-grade year at school, Laidlaw told her that "she had feelings" for her, court documents said. According to court documents, Laidlaw asked the student to sneak out of her apartment and repeatedly went to the student's apartment in the morning after her mother went to work. At least one time, Laidlaw told the girl to come to her car and, once inside, Laidlaw began kissing and touching the girl inappropriately, according to court records. Laidlaw also sent explicit messages and photos to the girl, according to court documents. The relationship came to light after one of the student’s parents found the messages, according to the warrant. Laidlaw teaches hip-hop at the school, according to the warrant. Rania Mankarious, with Crime Stoppers, said now, more than ever, parents must monitor social media accounts and look for certain red flags with teachers. Calling a teacher by a first name, receiving certain privileges or gifts or relaying personal information about the teacher may be early detections signs. "Those aren’t clear signs of a problem, but (they are) indicators that the conversations between your child and that teacher has elevated a bit beyond normal," Mankarious said. Laidlaw is charged with sexual assault of a child and improper relationship with a student. Laidlaw posted bond and is due back in court on Friday at 9 a.m.
"The Houston Police Department (HPD) has notified Spring Branch ISD Police that HPD has arrested a Cornerstone Academy teacher, Whitney (Grunder) Laidlaw, for alleged crimes involving an improper relationship with a student. When the allegations came to the district’s attention last week, we immediately removed Mrs. Laidlaw from the classroom and placed her on administrative leave. The alleged incidents reportedly occurred during the summer break and did not occur on school property. "We are outraged by this alleged conduct. The safety of every SBISD student is our very highest priority, and having a strong moral compass is a key district core value. We will never tolerate inappropriate actions on the part of any district employee who endangers or harms our students. These allegations, if true, are a complete breach of the trust our children, our community, and we place in our educators. "We will continue to work closely with law enforcement regarding this matter. We will have counseling resources available for student support. "Should you have any additional information about this matter, please contact the Houston Police Department at 832.394.5500. You may also contact the Spring Branch ISD Police at 713.984.9805."